Posted Aug 13, 2018 by Eds. Last July 25 President Maduro announced a series of economic measures that many were expecting following the creation on the crypto currency, the Petro, last March. (1) The most relevant announcement was that on August 20 Venezuela will put in circulation a new currency, the Sovereign Bolivar (Bolivar Soberano, BsS), that will reduce by five zeros the current value of the Strong Bolivar (Bolivar Fuerte, BsF). The referential value of the BsS will be linked to the Petro, whose value is pegged to the price of a barrel of oil. To give substance to this action, the state oil company PDVSA–with the largest oil reserves in the world–will transfer a large oil field in the Orinoco Belt, with almost 30,000 million barrels of oil, to the Venezuelan Central Bank. Surely, we do know the political reasons why “Venezuela needs this change.’ In a sentence, the U.S. is using all its power to produce another type of change in Venezuela–a regime change–in order to have imperial control over it by creating economic havoc. We do not know what the ultimate impact will be on the economy because there are too many factors involved. Some observers are skeptical about a positive impact and even call on the government to implement other economic measures that might include a compromise of its socialist principles. Others consider any compromise as a myopic approach–no matter what the short-term intentions might be–that will play in the interests of the U.S.
Disillusioned Venezuelans and the international community of experts, analysts, observers and activists–indeed all who care about a sovereign Venezuela and a more just world community–should turn their gaze on, and reject, the real intentions of the U.S. as the world power, and vociferously call on other nations to a more radical rebellion of the oppressed. The rapid success of this rebellion lies on the strength of unity and solidarity. 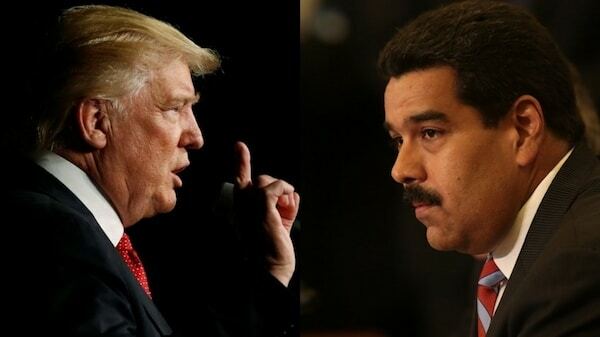 It is encouraging to see that a new campaign is taking shape “to end U.S. and Canada sanctions against Venezuela.”(6) An initial subscription to the campaign gathered dozens of signatures from the U.S. and Canada.